New Italian foods in new residential area. 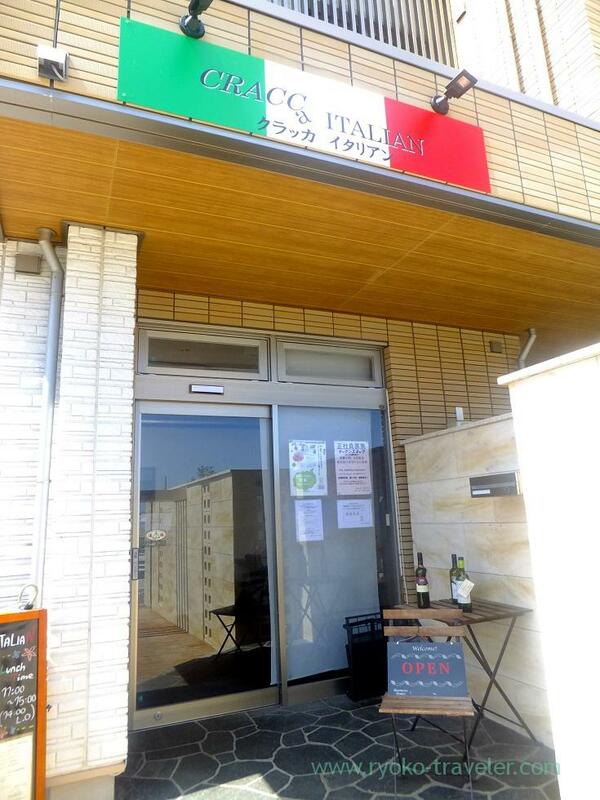 I knew recently, but an new Italian foods restaurant was open last year around Tsudanuma area. The name is Cracca Italian. Italian colored sign.It’s stylish but cozy restaurant. The urban-renewal project is now well under way around there. Also the restaurant is on the ground floor of the new apartment. Because it stand on such a residential area or there might have another reason, this restaurant accept small children as guests. 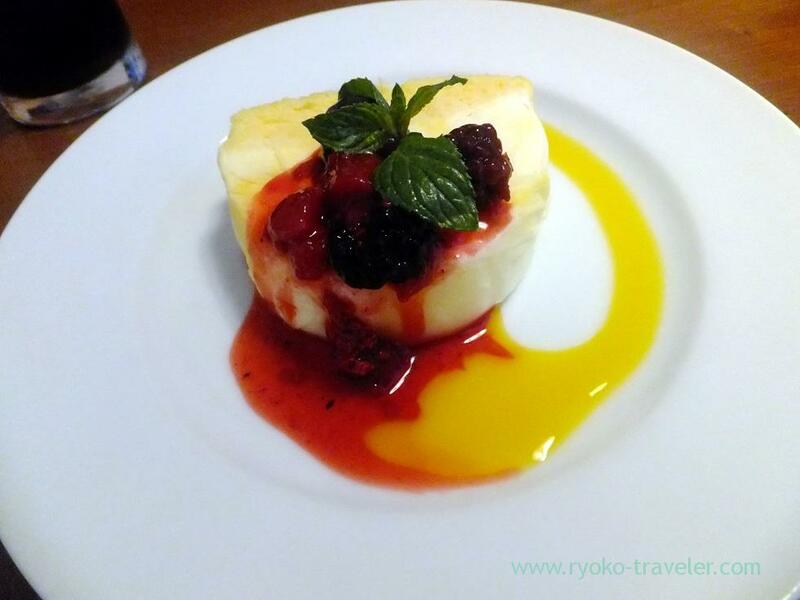 Most of guests ordered a lunch course(ランチコース, 1350 yen) that we can choose one spaghetti and dessert from some. They also prepare gorgeous course, though. 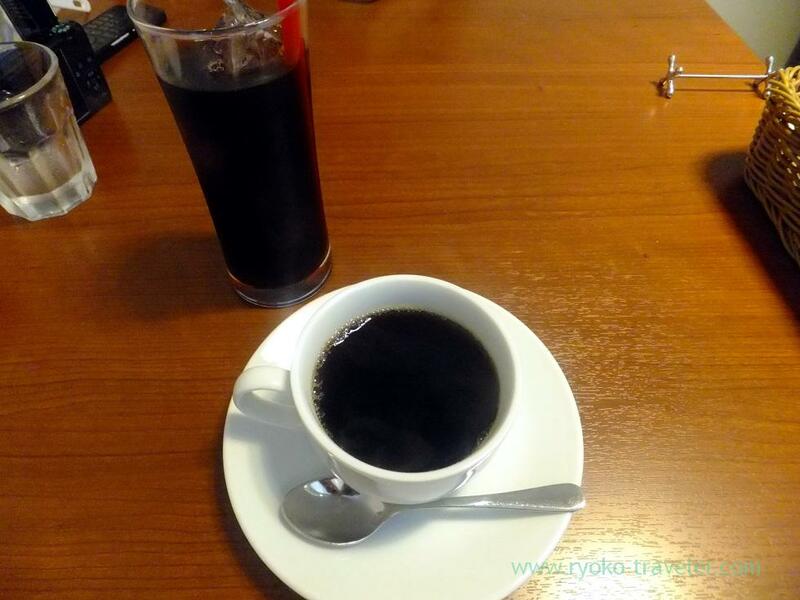 I went to there with my friend, so, we ordered different foods each other and shared. 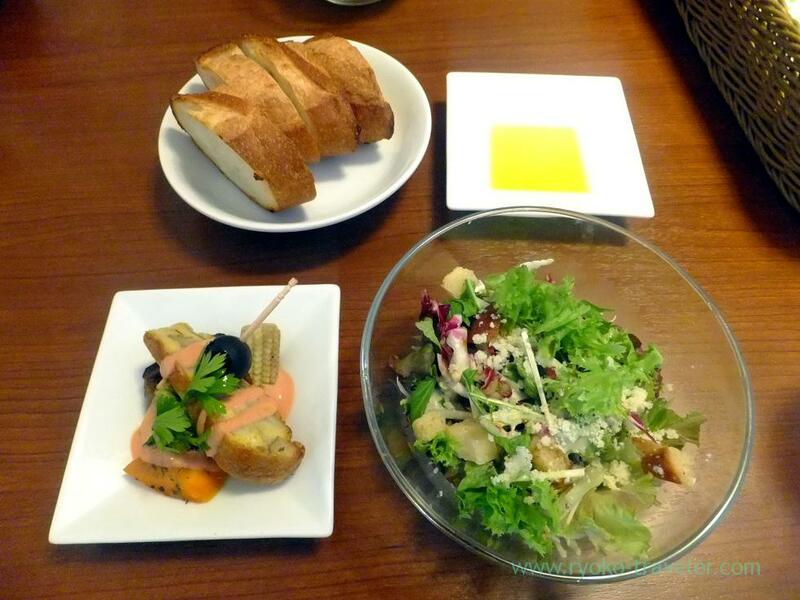 At first, appetizer, salad and bread was served. 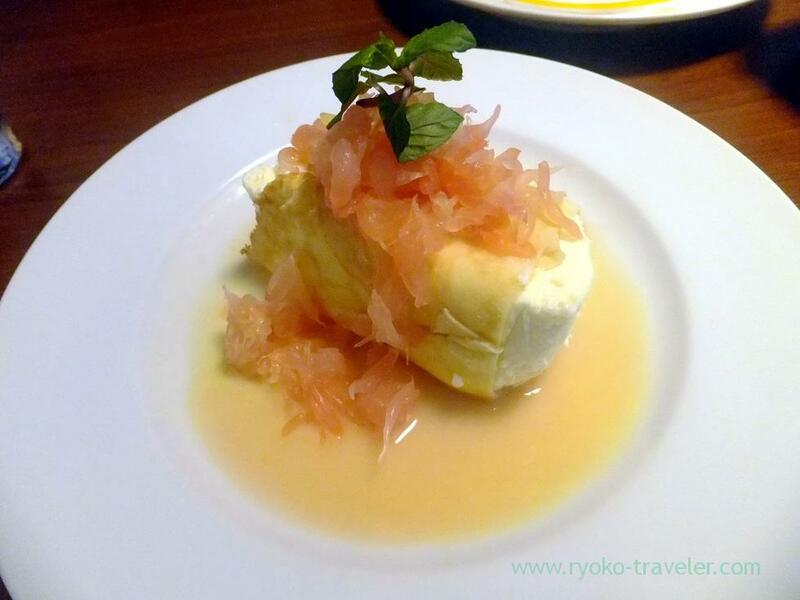 The yellow-color liquid is olive oil. The waitress said it’s for the bread. That olive oil’s flavor was weak, but it was good enough. 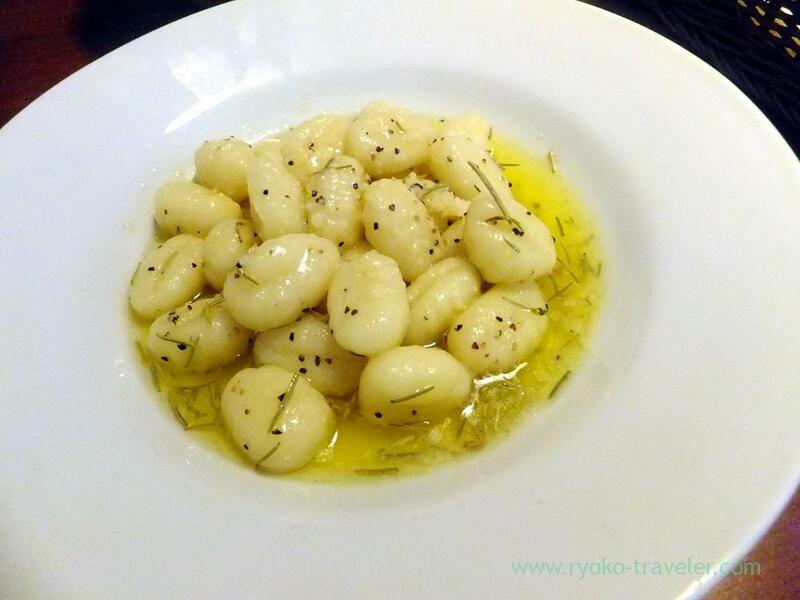 Certainly, thanks to the the simple sauce, we could enjoy the taste and texture of the gnocchi to the full. Yellow, green and red. What a colorful spaghetti ! Cake-like mango yogurt ice cream. I chose them. Those desserts were similar in taste. Umm. I like such a taste of dessert…. 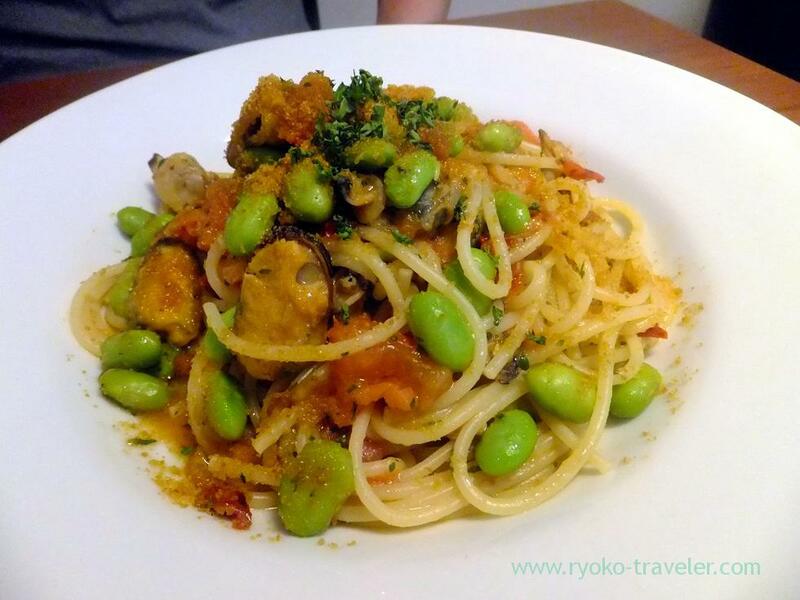 I was very surprised that such a good Italian foods can be eaten in Tsudanuma. I want to go there again by all means.